Philadelphia (Philly) is home of the Philly cheesesteak, City of Brotherly Love, home of Rocky Balboa, and Benjamin Franklin. Within this friendly city you can explore great shopping, art, history, and dining galore. With just one stop at the Philadelphia Museum of Art you can experience more than 200 galleries housing over 227,000 objects from every corner of the world. Explore everything from street art to classical paintings within these walls. Once you’ve finished there, take a walk down Museum Mile and visit the Barnes Foundation where you will find the largest private art collection of the most notable artists like Renoir, Rembrandt, Picasso, Matisse, and more. No trip is ever complete without a shopping spree! Philadelphia is named the second-best shopping city in the entire world. Here you will enjoy tax-free shopping on shoes and clothing everywhere you go. Take a trip to Century 21 and take advantage of up to 65% off retail prices, or head over to Macy’s to find the most sought after brands. No matter what you’re looking for, or what your budget, Philly is a shopper’s paradise of delights. Haunted Philadelphia- Enjoy a 75-minute walking tour around 20 of Philly’s scariest sites when you embark on the Spirits of ’76 Ghost Tour. Philadelphia Serial Killers and Cemetery Tour- Hear spooky stories and see the sites surrounding the ghosts and serial killers buried in and around Philadelphia. Haunted Pub Crawl- Visit sites of live Witch Trials, bodies stacked under colonial structures, Founding Fathers graves, and more in this 1-hour pre-pub historic tour through Philly. 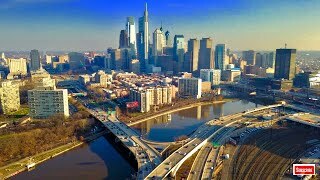 There are plenty of reasons to make Philadelphia your next vacation destination, we invite you to give us your experience and top things to see here.